Integrating Science in the Philippines (ISIP) officially launched the SIDHI (Science-Integrated Direction for High school Investigators) mentorship program last July 3, in partnership with Florence Pauline Basubas, a researcher and a New York Academy of Sciences Ambassador. This program aims to connect Filipino high school students working on science projects, whether as a school requirement or a personal endeavor, with Filipino scientists and experts working in fields that could help them accelerate their work and expose them to more opportunities. 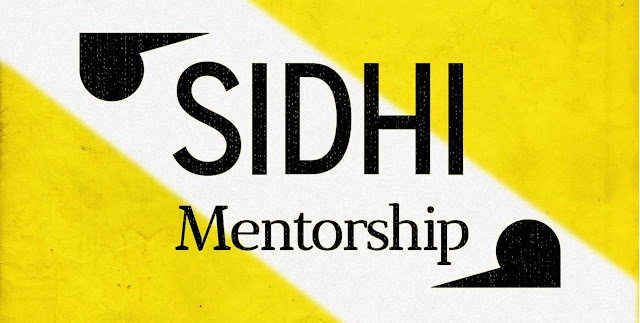 SIDHI concluded the application period for mentees on July 15 and the organizers are now in the process of processing the applications. The team aims to release the official list of participants by August. In 2013, UNESCO reported the Philippines had only 187.7 scientists per million people, one of the lowest densities of researchers in the region. Last June 15, the signing of Republic Act No. 11035 or the Balik Scientist Law by President Duterte allows the Department of Science and Technology (DOST) to give more incentives for Filipino researchers, engineers, innovators, and technologists to return to the country. The passage of this law is the latest in an effort by the government to boost the scientific workforce to 300 researchers per million people by 2022, along with addressing the demand gap when it comes to grants available. Many other organizations and institutions are looking to help gear science and technology towards national development. ISIP, with the implementation of the SIDHI mentorship program, aims to contribute to this growing movement. SIDHI is the brainchild of Pau Basubas and Pau Joquino. As a public science high school student, Basubas was inspired by her experience of needing mentors while conducting her science projects in Drug Discovery for Dengue and Heavy Metal Sorption in Wastewater. Those greatly contrasted her current experiences as an international student at Minerva Schools, working with leading experts in her field of interest. Becoming an ambassador on behalf of the New York Academy of Sciences further strengthened her resolve to address this disparity. Meanwhile, Joquino was a Philippine Science High School student, who started Integrating Science in the Philippines with his schoolmates Cid Azcarraga and Goran Tomacruz to contribute to science education in the country. The SIDHI team designed a simple program to gather scientists and experts from various disciplines, gather students interested in working on a science project or already working on one, and then connect these two groups together online. Leveraging technology was necessary to make this happen. After many emails, Facebook messages, and video calls, SIDHI onboarded 36 mentors and experts from all over the world for the program. With the help of social media and network effects, they then successfully gathered more than 60 applications from students interested in participating in the program. With all these applications in, the organizers will be processing each one based on the project proposal or fields of interest the applicant submitted, and then consult the mentors before coming up with a final list of participants and mentor pairings. Even with this process, what is crucial to the success of the program is the relationship between mentor and mentee/s. The impact of this goes beyond implementing a science project -- it can potentially extend to pursuing a career or taking on opportunities like science fairs and competitions in the country and abroad. This takes time and regular communication so the SIDHI team will be monitoring the progress of the mentor and their mentees on a bimonthly basis. Even with this oversight, ultimately the direction of the mentorship depends on the students and scientist. By focusing on the human-centered aspect of these opportunities, SIDHI hopes to reshape the experience of students as they grow up with science, whether or not they do take on a science-related career in the future. As this is the first run of SIDHI, the team is expecting a lot of challenges as they implement the program, but they are even more hopeful for how mentorship can help the participating students and even scientists can grow. This project comes at a time when the latest figures from DOST estimate an increase in the number of science and technology workers moving overseas from 9,877 in 1998 to 24,502 in 2009. With more and more scientists studying and working abroad, SIDHI looks to connect them with students back home, enabling these scientists to help expose the future generation to the possibilities of science and technology and how these can be applied in the Philippine context. By creating more connections among scientists and students, SIDHI expects that this will have a multiplier effect on the interest around science as more than just a siloed career path or a subject in school -- that it will be purposefully and effectively employed for nation-building. Techblade.ph is an online publication which brings to you the news on Philippine Science, Information and Communications Technology, Gadgets, and Tech Lifestyle. Copyright © 2013 TechBlade PH ™ is a registered trademark. Designed by Templateism . Hosted on Blogger Platform.